A mutual fund should be viewed as a long-term investment. 1. Can I Avoid Federal Taxes If I Have a Mutual Fund Outside of an IRA? 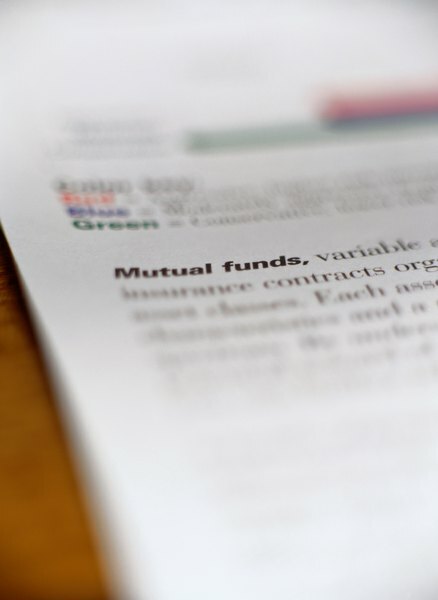 As a type of investment, mutual funds are designed to be long-term investments. This type of fund is not intended as an investment you buy into and sell out of as the markets move up and down. Other types of funds -- such as exchange-traded funds, or ETFs -- are more suitable for in-and-out investing. But as part of your overall portfolio strategy, you might experience times when it pays to sell some of a mutual fund investment that has increased significantly in value. A mutual fund has a fund manager who actively buys and sells securities for the fund. The fund manager's job is to decide when to take profits and what stocks or bonds to buy to replace the sold securities. Fund managers buy and sell to meet the investment objectives of the fund. If those fund objectives are the same as your investment objectives, the reason for owning the fund is valid and selling mutual fund shares to take profits goes against your long-term investment objectives. If, during the course of the year, a mutual fund generates more profits than losses from the securities that were sold, the fund will pay out the net profits in the form of capital gains distributions. Most investors choose to reinvest those distributions to keep the money working in the fund. You can elect to have the distributions paid out to you. With this option, you will receive profits from the fund each year -- or at least in the good years -- and you can use these for other investments. An asset allocation strategy using several mutual funds or other investments and a practice of rebalancing the allocation will result in timed sales of your best performing mutual funds and the investment of the sales proceeds into your underperforming investments. As a simple example, you have an asset allocation plan of 50 percent each into a stock fund and a bond fund. If the stock fund increased in value to 60 percent of your portfolio, you would sell enough of the stock fund and invest the money in the bond fund so each would again account for half of your portfolio. Another reason to sell a mutual fund and take the profits is that your investment goals have changed. For example, you have a stock fund that has performed well and now you want to draw an income from that money. One option would be to sell some or all of the stock fund and invest in a bond fund that pays monthly dividends. If you bought an aggressive growth fund when you were younger, you might sell that fund to go with a more conservative fund, such as a growth and income fund. How do I Reallocate Assets in Mutual Funds? What Is a Closed-End Stock Fund? How do I Sell Mutual Funds When the Market Is Down?